I think we sometimes look at the term “success” and think success is only when we have fully arrived somewhere. We have a perfect sleeping baby. Our days are 100% predictable and never vary. Our children never so much as pout the bottom lip they are so respectful. “Yes mom!” comes every time and we never hear a “I will” or “I know” or “what?” and for sure never silence in response! Success, we believe, means perfection. But let’s be real. Perfection is not a state that is really attainable in this life. We can have moments of perfection. Yes, that perfect nap day exists. Yes, we can have those days everyone is happy and kind toward each other. We also, however, have growth spurts. We have bad moods. We have sickness. We have family outings that disrupt routine for a few days. We have time change (grrr…). So while we can have moments of perfection, we do not have constant perfection. No one does. And so I want you to keep that in mind when reading success stories. 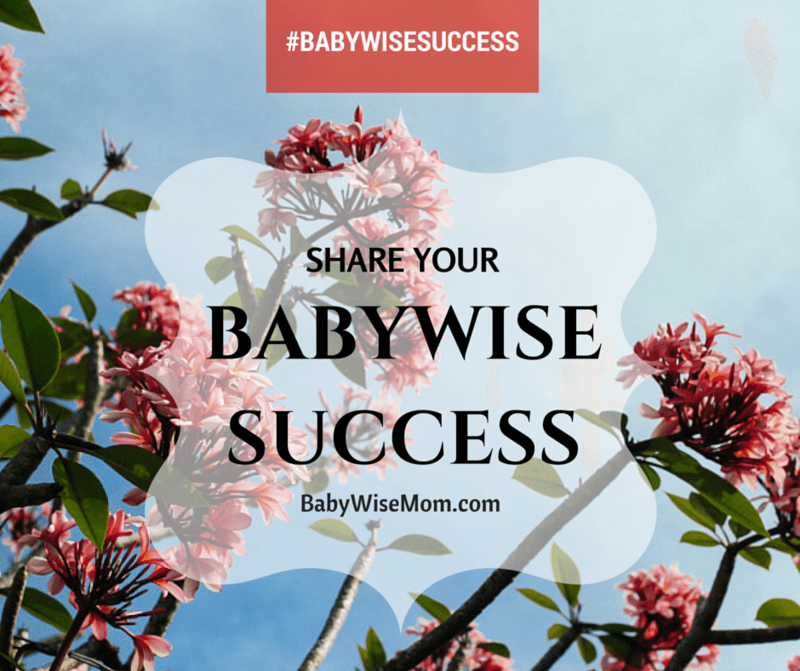 I do this week so we can share with the world that yes, Babywise does have success! Yes we have happy, healthy children who sleep well, grow well, and meet milestones as they should. These success stories are commenting on moments of perfection. Sometimes they are stories about rising from the ashes. Sometimes they are the overall calm that permeates family life (you know, relative calm). Sometimes they are about having the tools to survive difficulties. Sometimes they are celebrating victories! We all still have normal life struggles, but Babywise has given us the tools to manage those struggles with more ease and confidence. For me, the biggest success story among my children in my mind is Brayden. And you know what? For the first six months of life, Brayden was my worst sleeper hands down. No contest. We started parenthood without Babywise. After a few weeks of that and our newborn baby fighting and refusing sleep most of the day (seriously, don’t newborns sleep like babies?!? ), we turned to this book I had heard about while pregnant. It was life changing. Almost immediately, he went to actually taking naps throughout each day. Hey, naps may have usually only been 45 minutes long, but the were naps. He slept! He went from waking up several times a night to waking up only once a night. Major success! He continued the short naps and once-a-night waking until almost 6 months old. That is pretty old in Babywise years, but I consider it a major success. I was on a different road with him, and I know Babywise is 100% to thank for that turn around. No doubt my girls all slept well because of Babywise, also, but I didn’t see the two contrasting roads with them since we were firmly in place from the start. So my biggest success could also be looked at as my biggest failure in a different light. It will forever be, however, my best success story with Babywise. My children are now 11, 9, 7, and almost 4. I do not ever, for one second, regret our decision to follow Babywise with our babies. Not even a little bit. I would do it all over again. This week, I would love to see your success. Share a post on Facebook, Instagram, Twitter, etc. 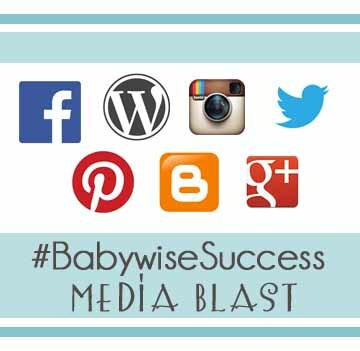 Hashtag #BabywiseSuccess in your stories. I will be on the lookout for them! If you don’t already, be sure to follow me on Facebook. I share what is posted here each day along with other articles I find helpful and interesting. I also answer questions and do live Q&As each week. It is a great way to connect!